Each of the provinces into which Argentina is divided treasures attractions, destinations and sights beyond our imagination. We just need to get immersed in these sites to start a tour around countless different horizons, cities and typical geographical features that will certainly encourage us to set out. Mountain ranges, hills, ravines, rivers, lakes, ponds, fields and sea scenes will dazzle travelers here and there. Large and small cities as well as towns that look alike and diverse at the same time are hidden throughout the map waiting for visitors to discover them. Every province has a history to learn. You just need to find yours. 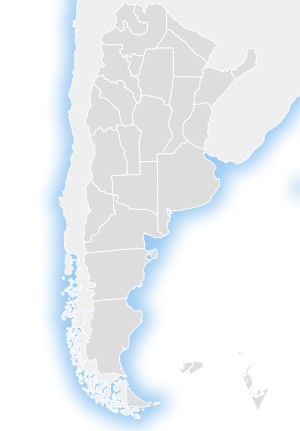 See some of the most visited winter destinations in our country: Buenos Aires, Puerto Iguazú and the Falls, Termas de Río Hondo, Ushuaia, Mendoza, Córdoba Capital city and the Province, Salta, Merlo (San Luis), Bariloche, El Calafate y Mar del Plata. 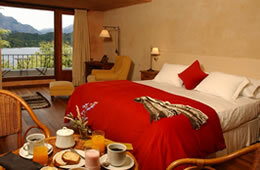 An excellent way to get close to multiple alternatives offered by tourism in Argentina. Packages imply more than just an offer: they are excellent opportunities to set out on a trip. That is the way we see them and so do thousands of tourists who check our websites on a daily basis in search of these special options to choose a destination and a date to travel, which would be unthinkable under different circumstances. Choose the package you like best and start your memorable trip right away. See all hotels in Argentina sorted by city. Tourism in Misiones continues to conquer thousands of travelers who come along every year to enjoy its natural tourist attractions, and its cultural and historical destinations. All of this framed by the province famous red soil, its waterfalls and its impenetrable rainforest. Fishing, beaches, carnivals and hot springs: the theme products that make the tourism in Entre Ríos highly popular when it comes to planning a trip to rest or have fun during a long weekend, a public holiday or the winter and summer vacations. During Summers, many events and outdoor festivals take place, the most popular of which is the Gualeguaychú Carnival, the "Carnival of the Country", which takes place in January and February. The Province of Córdoba surprises tourists with its countless attractions, framed by the various mountain systems from the West and North of its territory. Its rivers and creeks, its endless green areas and woodlands, its mild weather and its unique natural scenes lure visitors to this privileged site year round. The traditional SommerFest: Summer Party, is amongst the most popular Summer events and takes place in Villa General Belgrano during the Summer holidays. In Summer, the most visited tourist destination, without any doubt, is Villa Carlos Paz. While staying in Buenos Aires, temporary rent apartments are one of the most attractive options.